Solves problems when copying files from Mac to a windows volume. Is there a better alternative to Mac2FAT? 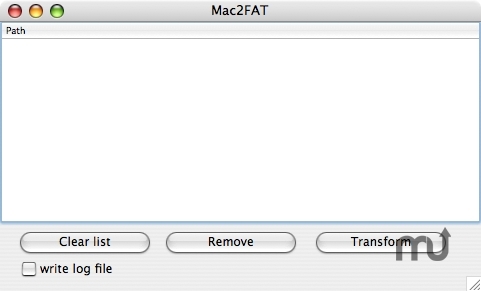 Is Mac2FAT really the best app in Applications category? Will Mac2FAT work good on macOS 10.13.4? Mac2FAT X solves problems when copying files from Mac to a Windows volume. You will often experience errors when doing that, because some file names may contain characters which are not allowed on a FAT32-Windows-Volume. This tool replaces them with "_". You can drag and drop a folder onto Mac2FAT and let it be processed. It also copes with complex subfolder structures, containing many files. Mac2FAT needs a review. Be the first to review this app and get the discussion started! Mac2FAT needs a rating. Be the first to rate this app and get the discussion started!